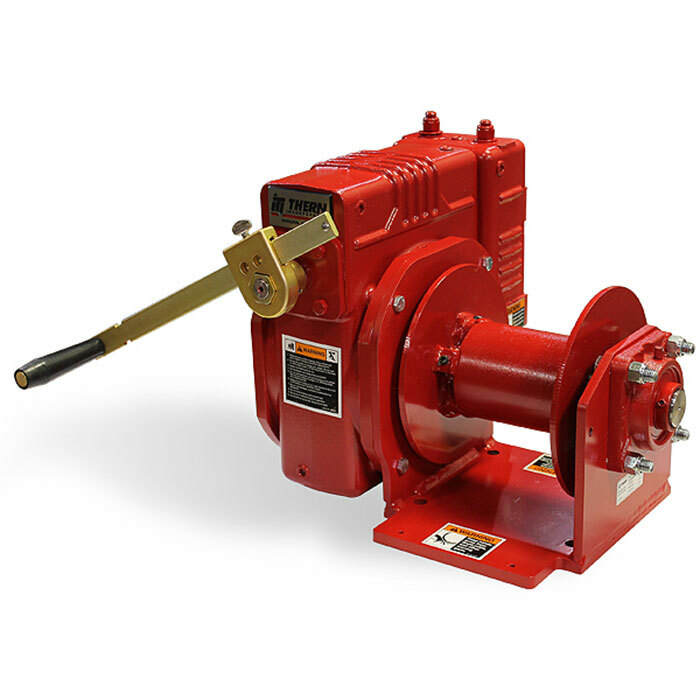 The 2W40 Series worm gear hand winch delivers rugged capacity to benefit a wide range of work site applications. • Machine Cut Worm Gears provide accurate operation and long lasting service. • Enclosed Oil Bath provides continuous lubrication of gears to minimize wear, except on Model 465. On Models 4WM2 and 2W40, oil seals keep oil in and dirt out. • Hex Drive and handle are included. 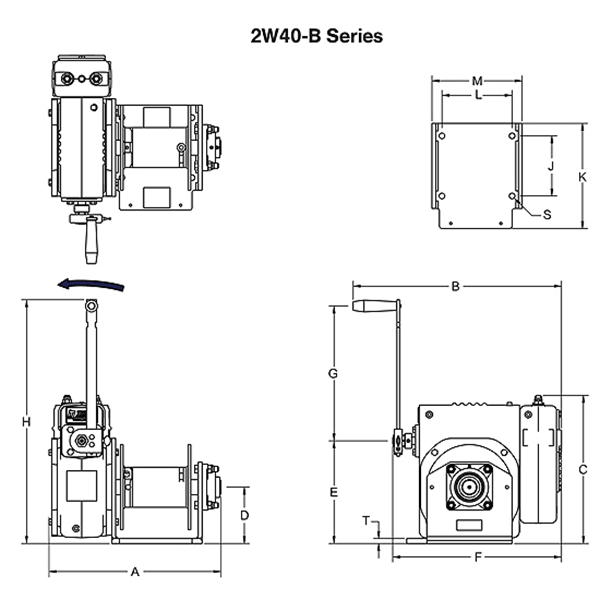 Models 4WM2 and 2W40* can be power driven with a maximum 300 rpm drill-motor. • Automatic Brake Models provide positive load control for lifting. Brake models have a PB or B suffix. 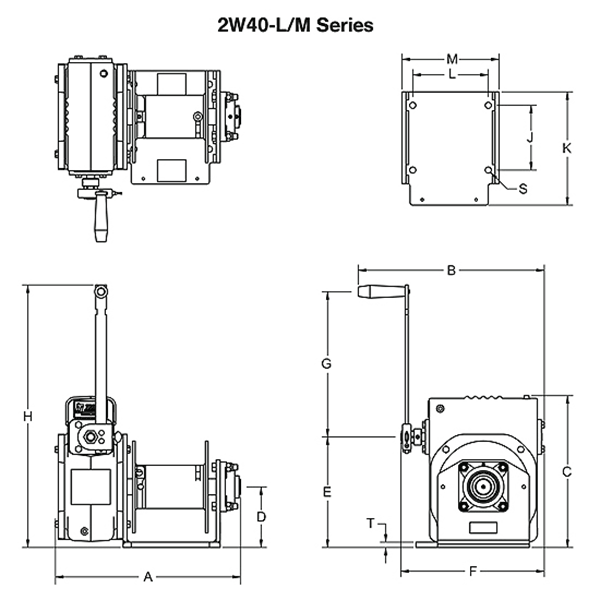 Models 4WM2 and 2W40-B feature an internal mechanical brake. • Corrosion Resistant durable paint finish protects against corrosion in harsh environments. • Bronze Bearings on most models for smooth operation. • Handles Adjust in length to change force required to move the load. • Mounting Options include floor, wall, or ceiling. Adapter plate may be required, contact mdi.